Dogwood or cornus is a genus of 30 to 50 primarily deciduous plants and trees with woody stems. 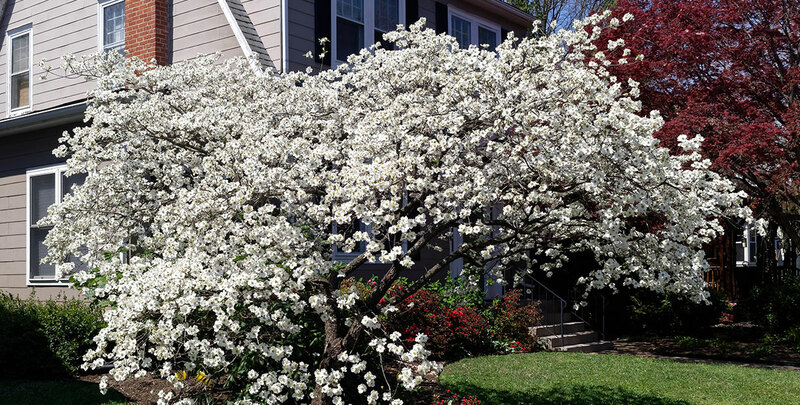 Dogwoods are undemanding, reliable shrubs for all kinds of single or mixed species hedges. Dogwood makes low hedges of open habit with naked stems in the winter. Dogwoods are therefore not the type of hedge you are looking for if you wish to create a dense, secure barrier, but those who fancy an open, wildlife-friendly, easily grown hedge with year-round interest will not be disappointed by dogwood. The distinctive bark of a dogwood hedge, which forms squarish blocks as the trees mature, will provide you with something to look at even after it has shed its leaves, berries and blossoms. There are various species and varieties of dogwood that are widely cultivated as hedging plants. Not all dogwood species will make good hedges, however, so it is wise to keep things simple by restricting yourself to a number of species. It is commonly recognised that cornelian cherry (cornus mas), white dogwood 'Kesselringii' and the red-barked dogwood varieties 'Elegantissima' and 'Sibirica' (cornus alba) are some of the most suitable dogwood species for hedging purposes. The English names provide a clue as to what the specific qualities of these varieties are. Cornus mas is known for its cherry-like berries, while cornus alba has handsome red stems, providing extra interest in the autumn or winter. All of them produce white or yellow flowers in the spring, followed by berries. Their leaves are oval-shaped and dark green. 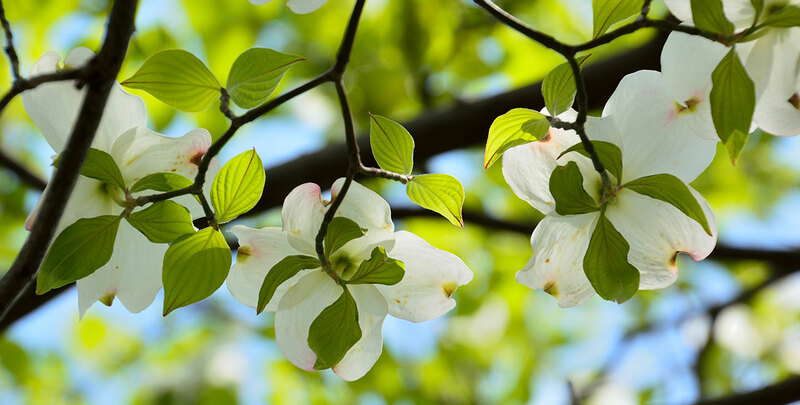 The origins of the name “dogwood” are unclear. We do know that the genus was referred to as “dog-tree” in the sixteenth century, while the name we commonly use to refer to this plant these days was established in the early seventeenth century. 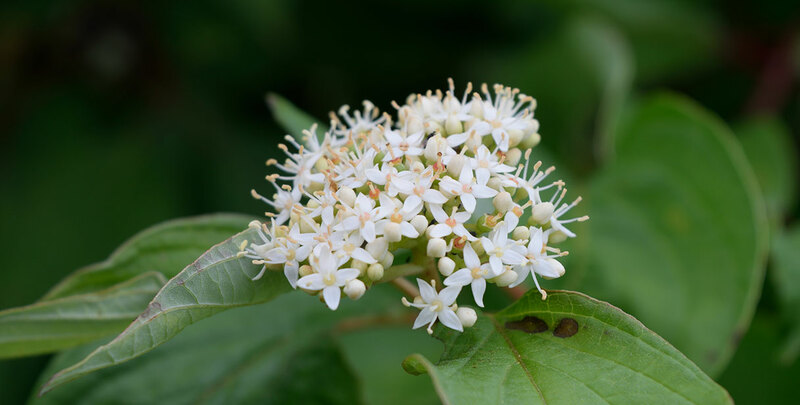 It has been suggested that the name is based on the Old English word “dagwood”, as the exceptionally hard wood of the dogwood is traditionally used to fashion daggers, as well as arrows and skewers. Due to this remarkable degree of hardness, as well as its very fine grain, the wood of dogwood species is still appreciated to this day, as it is an excellent wood type for the production of small tools, despite being relatively difficult to carve. Some dogwood species, including the cornelian cherry, are native to Europe, though not to Britain. However, many species originate from the southeast of the United States, as well as China and Japan. In fact, many regions with a temperate climate are home to native dogwood species. The three species we have described on our website are all from a different part of the world. The origins of the cornus mas can be found in the Mediterranean region, while cornus alba is native to eastern Asia. All of these species will thrive in our part of the world with relatively little maintenance. People have come to appreciate the fact that the ornamental value of dogwood goes beyond its foliage or its flowers. Dogwoods are very hardy. Cornus mas can even cope with temperatures as low as -35˚C. Dogwood hedges will take any position in the sun to partial shade. They are best planted in a moist, well-drained soil. Dogwood has a relatively wide growth habit and therefore, it is not the best hedging plant to use in smaller gardens. If you can give a dogwood hedge the space it needs, however, you will be rewarded with a remarkable display of colours. It produces white or – in the case of cornus mas – yellow flowers in the spring and its attractive, dark green foliage turns red in the autumn, while the coloured, naked stems look beautiful even during the time of year when deciduous hedging plants generally look their dullest. Pruning a dogwood is exceptionally easy. First of all, pruning is hardly a necessity. However, if you really enjoy the coloured twigs in the winter, you may want to cut them down to their woody bases in February or March. This way, they can regenerate with young, handsome growth. This is particularly beneficial to the cornus alba, which has the most attractive winter stems. 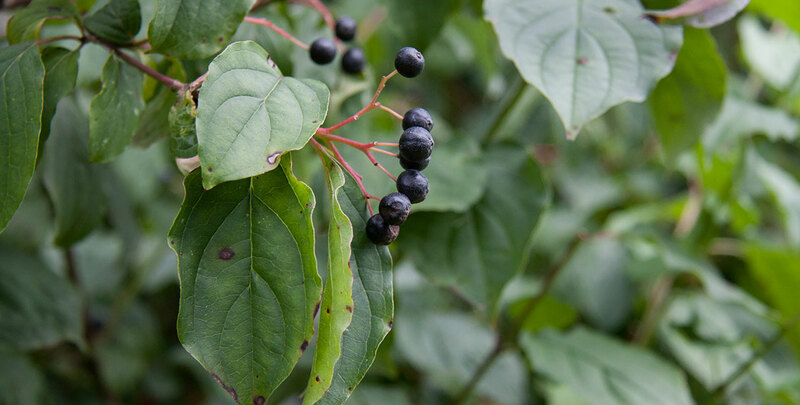 In addition, dogwood berries, which ripe in the summer or autumn and are commonly known as dogberries or houndberries, are edible to birds and – again, in case of cornus mas – sometimes even to humans. The edible berries can be consumed raw, but are more commonly used to make jams or wines. Dogwood is the ultimate proof that a hedging plant does not even need to possess flowers or leaves throughout the entire year to provide your garden with a maximum of colour. Even the bare branches and stems of dogwood species are worth looking at. And since harsh winters are no problem for this tough hedging plant, you will be able to enjoy all of the colours your dogwood hedge has to offer for a long time. It is a fairly easy hedging plant to grow and it requires remarkably little maintenance, which is why beginning gardeners will probably enjoy growing a dogwood hedge as much as advanced gardeners would. It is worth noting that its wide growth habit makes a dogwood hedge suitable for medium-sized to large gardens only. However, if you can give this hedging plant the space it needs, you will be rewarded with a lively, tough and undemanding hedge.